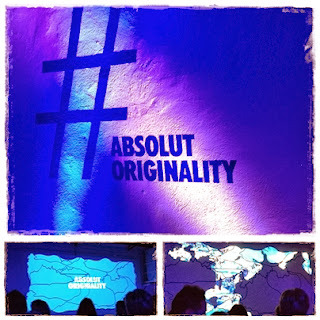 The Genuine Beer Blog: An Absolut Success !!! The combination of all of these guys imaginations brought one truly fantastic exhibition, the new bottle takes inspiration from the dress designed by Danielle Romeril (Left). There was also a fantastic video section to the exhibition which brought together the work of Brian Kenny, Jamie Delaney & Chrissie Abbott. This was a fantastic video that showcased the dress designed by Danielle but also had this great free flowing feel to it. The video really captured the uniqueness of the dress itself and in turn the new design for the Absolut Limited Edition Bottle. 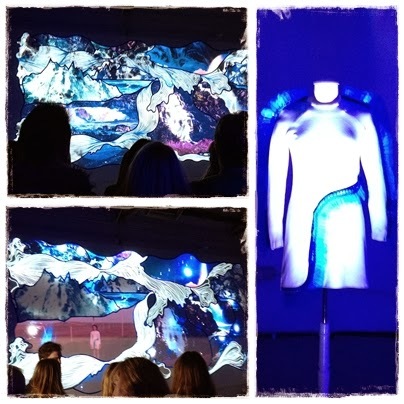 Another great piece at the event was a new interactive exhibition that allowed the user to design their own dress based on the original from Danielle, but give it their own unique twist. This piece allowed people to alter and create a new design with just the movement of their hand. This allowed people to be as artistic as they felt they could be and gave a huge selection of fantastic original art pieces. 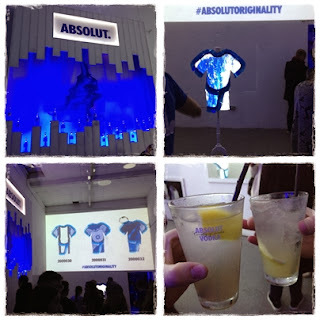 This was a fantastic event to be invited to and I have to thank Absolut for the chance to be involved and attend the launch of this fantastic exhibition, it was a great night enjoyed by everyone in attendance. 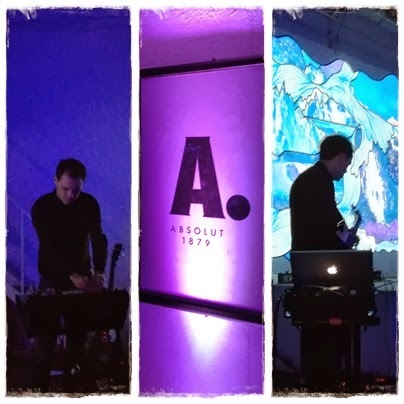 There was a great buzz in the room, with live music being played and people having a chat about the different elements of Absolut Originality. The new limited edition bottle is on sale in selected retailers and there are only a limited number of them, so if you want one you need to get out there quick and buy one, they are really great looking bottles. Why not check out the Absolut Originality Website below for a bit more information, as well as some fantastic Absolut Vodka Recipes to try out on all of your friends and family.